The WordPress CMS (Content Management System) has become the most popular CMS in the world, which is why it is a no brainer to become a San Diego WordPress SEO Expert if you are going to get into the search marketing game in San Diego. Our team at Local Blitz, built of SEO Experts does work on a variety of CMS, but WordPress is arguably our favorite, simply because it is one of the most SEO friendly CMS in existence. The ease of adding code, fresh content, and a wide array of plugins make WordPress a smooth experience for both the client and our team alike. WordPress started way back in 2003 as a open-source content management system and was mostly associated with blogging in its early years. Now over 25% of the entire web landscape is powered by the WordPress CMS. The ease of design, massive selection of templates, and ease of use have made it a favorite of web designers and SEOs alike. Some of the benefits from our lens as local San Diego SEO Experts are the clean search engine friendly permalink structures, the variety of plugins available to assist with a ton of different SEO and non-SEO related functions, and the general ease of the user experience when hitting your website. 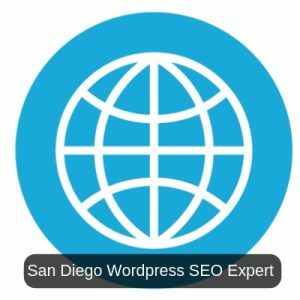 If you have a WordPress website and are looking into hiring a San Diego SEO Expert, contact us today for a FREE SEO analysis. We look forward to meeting you!